Having Trouble Reaching the Routerlogin Page? Whether you are trying to access your wireless router setup for the first time or just trying to view your current Wi-Fi Password from a previous setup, you will need to access the routers administrative console. Sometimes the admin console is referred to as the routers hidden page. If you are able to reach the login page but can not get past the login page, I will cover that as well. First, before going through all sorts of technical stuff, let's check the basics. The first thing you need to make sure is that the computer you are using is hardwired directly to the router. Check that the Ethernet or network cable is securely snapped into not only the computer but also into a numbered port on the back of the router. One of the quickest and easiest fixes is performing a power cycle. Power cycling refers to removing the power from the router, waiting a few seconds, then plugging the power back in. Of course, you should be getting some lights on the front of the router otherwise you may be looking at an electrical outlet problem or a burnt out router. It should also light an LED indicating the port number the computer is currently connected to. The LED is usually on the front of the router but could be on the port outlet itself. Still not sure? Check where the cable plugs into the back of the computer, and it should have a LED light at the cable outlet as well. If you have lights on the router but not lights for the cable plugged in the numbered spot, try another numbered spot or try another cable. If you don't have another cable, try flip-flopping the cord so that the computer end goes in the router and the router end goes into the computer. Although both ends of the cable are identical, I have seen where one end will make a connection in one device but not another. Still no light? Check to see if there is more than one Ethernet connection on the computer. Often desktop computers may have two network cards installed, the one integrated on the motherboard and one that may have been an upgrade to the onboard connection. If so, try the other connection. Not only is correctly entering in the routers IP address crucial, but where you enter the IP address is equally important. This is one of the most common mistakes. Most routers, depending on brand, use either 192.168.1.1 or 192.168.0.1. Try both of them. If one does not work, odds are the other will. Still no dice? The first thing to make sure is that the router indicates that it sees the computer by lighting a numbered LED to correspond to the port number you are plugged into. Next, let's make sure that you are not entering the IP address incorrectly. Although typing the http:// is fine if typed correctly, but just keep it simple. Putting in more than is necessary just increases the chance of a mis-key and takes more time. Key just the IP address (Just numbers and dots). Let the browser automatically add the http:// portion to the beginning after you click Go or press Enter. 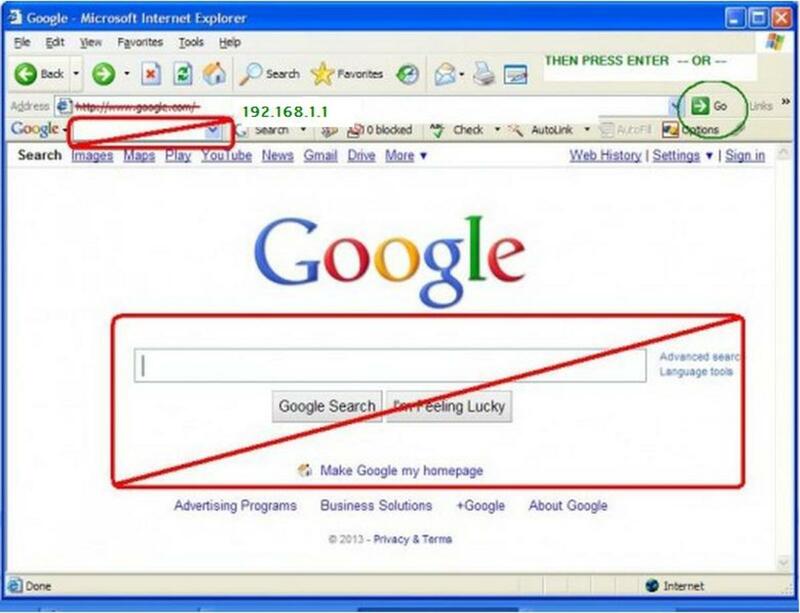 Next thing to check is that you are not keying the IP Address in a search engine or search toolbar. You need to type it in the address bar at the top. If it is a Netgear brand router, instead of trying the IP address, you can also try routerlogin.net. 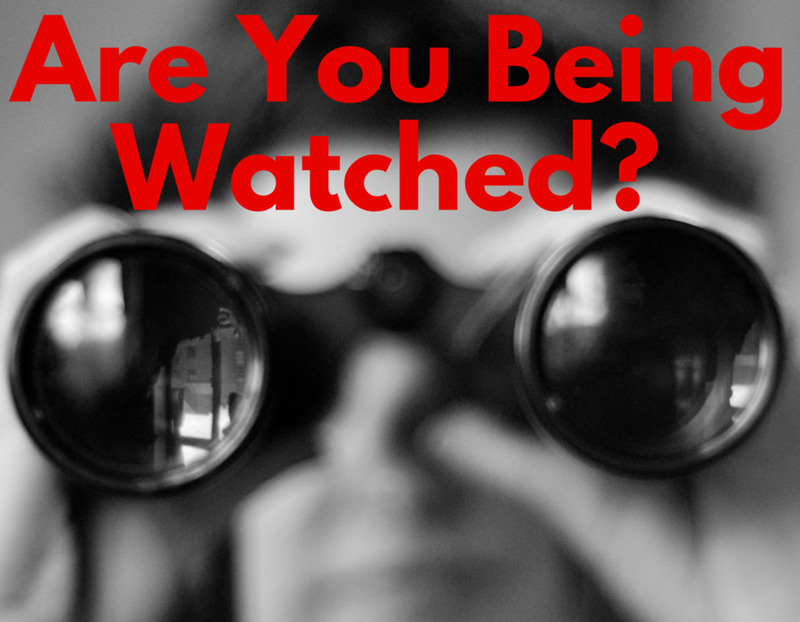 Keying the router's IP address in a search engine or search bar will never work. 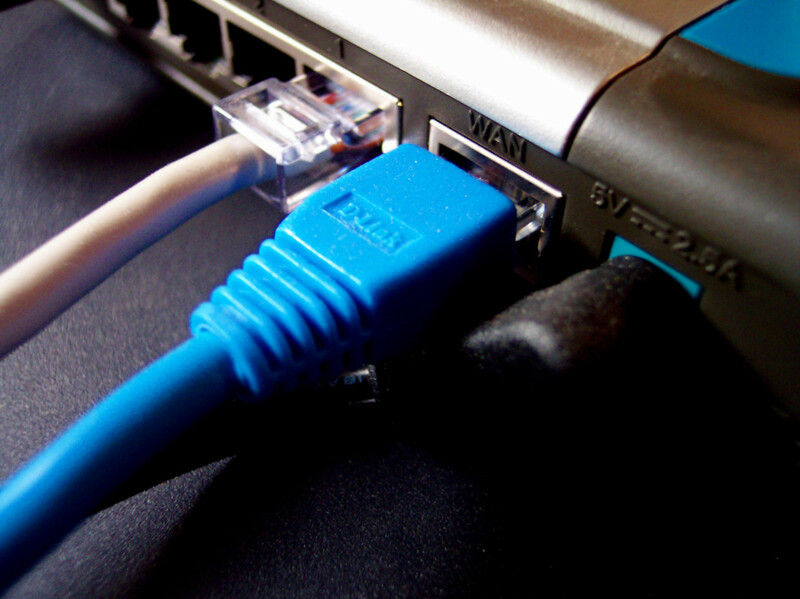 The computer's IP address must be within the same subnet as the router's IP address in order for the two of them to communicate with each other. In other words, if the router's IP address is 192.168.1.1, that means that the computers IP address needs to also start with 192.168.1.__ (the last digits can be any number other than 0 or 1 and under 255). If the router's IP address is 192.168.0.1 then, of course, the IP address on the computer also needs to start with 192.168.0.__. If the computer is using an IP address starting with anything else, communication between the router and that computer will not be possible. 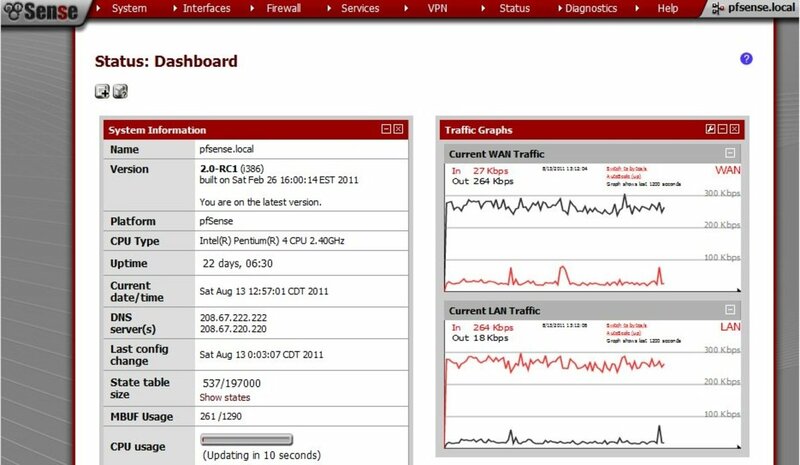 Normally, most computer network cards are set up to automatically obtain the IP address from the router so the router would issue a compatible IP address and this would not be an issue. This requires that your network adapter is set up automatically accept the IP address issued from the router. An issue can arise if the network card in the computer is set up with a static IP address instead of a dynamic IP (Automatically Obtain). 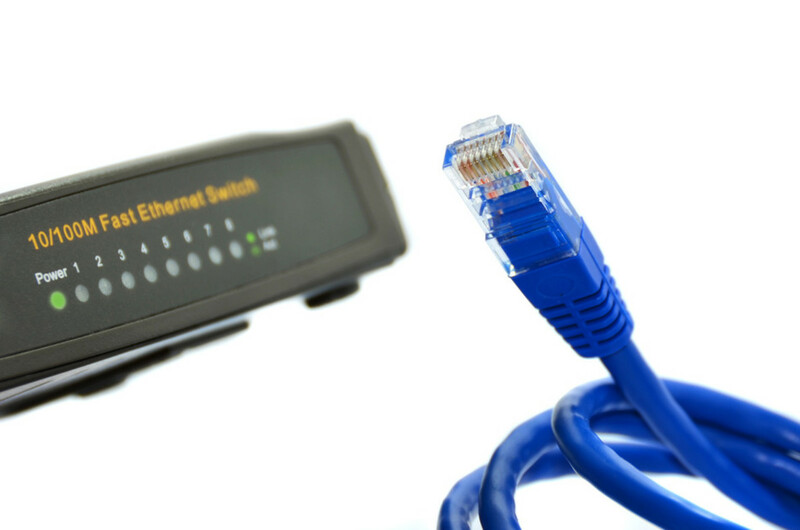 A static IP address is when instead of asking the router for an IP address, it is set to use a specific IP address that someone in the past has chosen and hard-coded for the wired adapter in the computer to use. If this is the case, it is possible that the hard-coded or Static IP does not start with 192.168.1.__. To check to see the IP address the computer has been assigned, whether from the router or set as a Static IP, you would want to run the IPCONFIG command from within the Command Window or DOS window. Type IPCONFIG and press Enter. Press and hold the Windows Key (looks like a flag) and press X at the same time. The IP address is the IP address of the computer. The Default Gateway (in this case because I am in the same subnet) it sees and shows the IP of the router. If your IP address does not start with a 192.168. then odds are it is set to a Static IP. Changing it to a Dynamic or Automatically Obtain IP should fix the issue. If you are making it to the router's login page, make sure you are trying some of the most common router logins or look up the correct login to your router. Routers go bad from time to time. If it is an older router, this may be a good opportunity to upgrade your wireless network and pick up some of the latest technology. My personal suggestion is the Edimax AC1200 router. It is the fastest wireless router to date, one of the cheapest routers and even comes with a wireless network adapter for a computer as well. Which log in worked for you? None. I am still stuck. - Type http://192.168.1.1 in any of your Browser Address bar. - A Pop-up Box appears asking you to Enter Username and Password. - Put down the Login Credentials and you will be given Web-Interface Access Immediately. 3. Insert your router login credentials. Username and password. Hopefully this will help users to find with quickly without typing IP address. I have mentioned steps previously along with Source, but seems like the site is not live now. No problem, Got another source which provides even more information on 192.168.1.1 IP Address. You Can also Follow these steps. 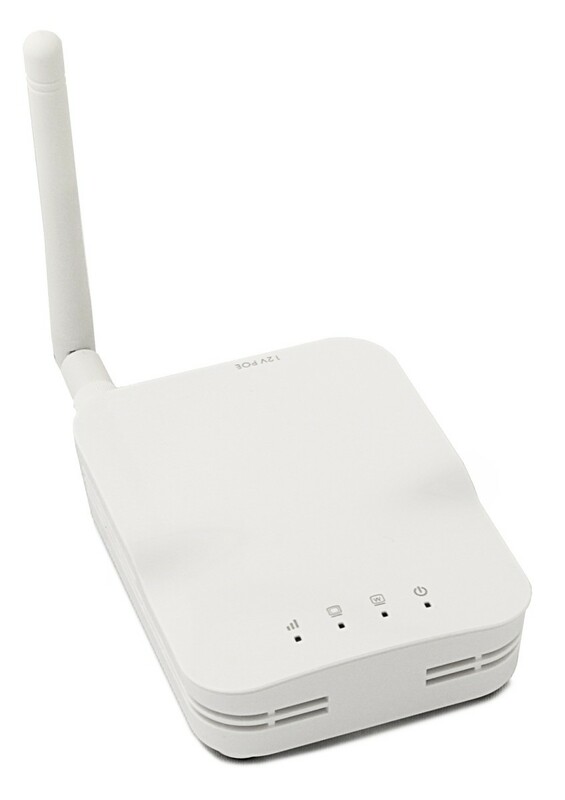 You need to have 192.168.1.1 admin Access in order to make changes in Settings and Configuration of your WiFi Router. 1. 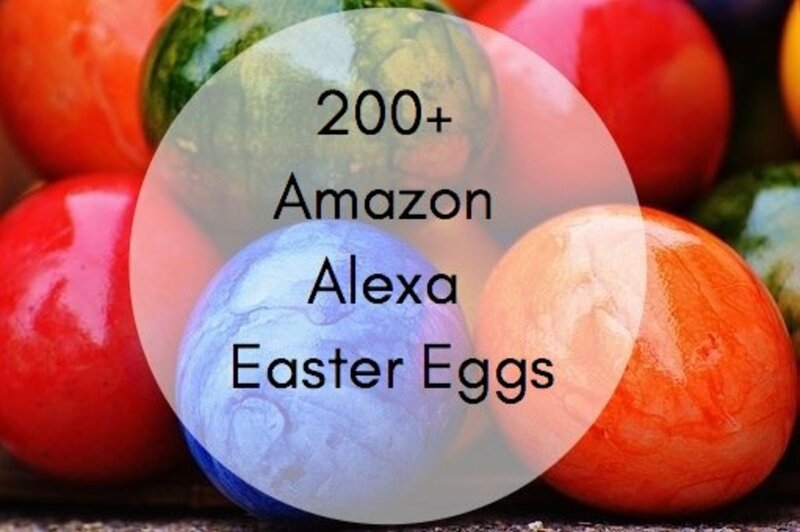 Enter ➡ http://192.168.1.1 in your browser address bar. 2. Press Enter and Admin Page loads in few seconds. 3. If you page Shows Error, then you might have entered 192.168.l.l which is Invalid/Incorrect. 4. After knowing correct IP Address, you will be forwarded to 192.168.1.1 website where you need to enter User and password of router. 6. Once you found Username and Password, enter them. 7. You have successfully logged into Admin page. Router IP address accesses valuepoint networks (SuperMesh 800) not router homepage,why? I can connect with my Ip address but I cnat login. How would I recover my password? I want to change my user name and password, what do I do? thanks. as mentioned by one of dudes , power cycle worked for me. simply reset the router . Power cycle worked for me. Thanks! If you can not connect to the wireless network with your tablet to begin with, your not going to be able to log into the router settings using that tablet. That's because your trying to talk to a device on a network your not connected to in the first place. Think of it this way, its like trying to call the phone company to report your phone line is out and your trying to use that broken phone line for the call. It's just not gonna work. 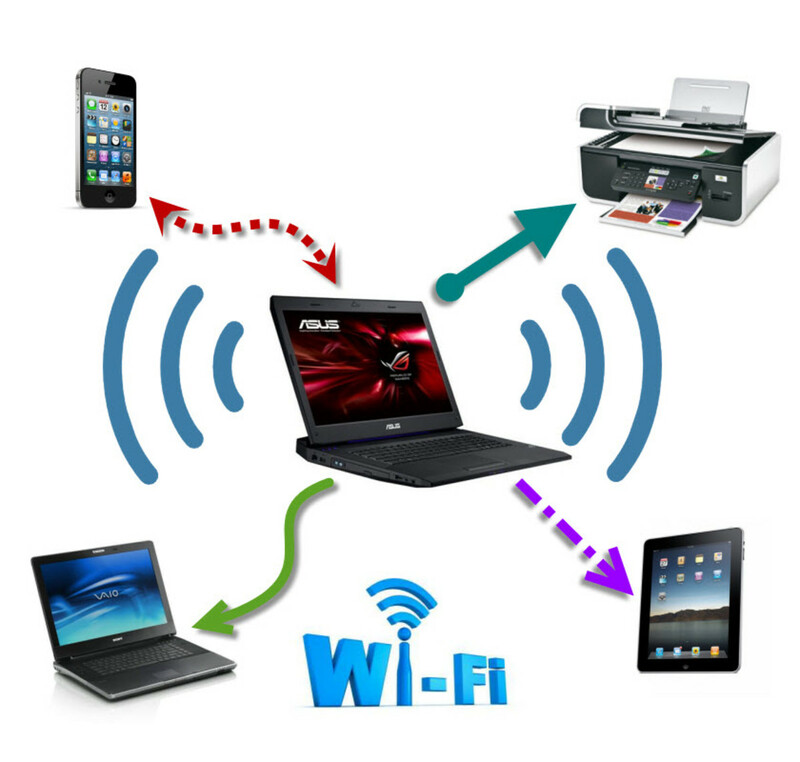 To check or change the wireless settings, you should use a computer wired directly to the wireless router. Hope that helps. 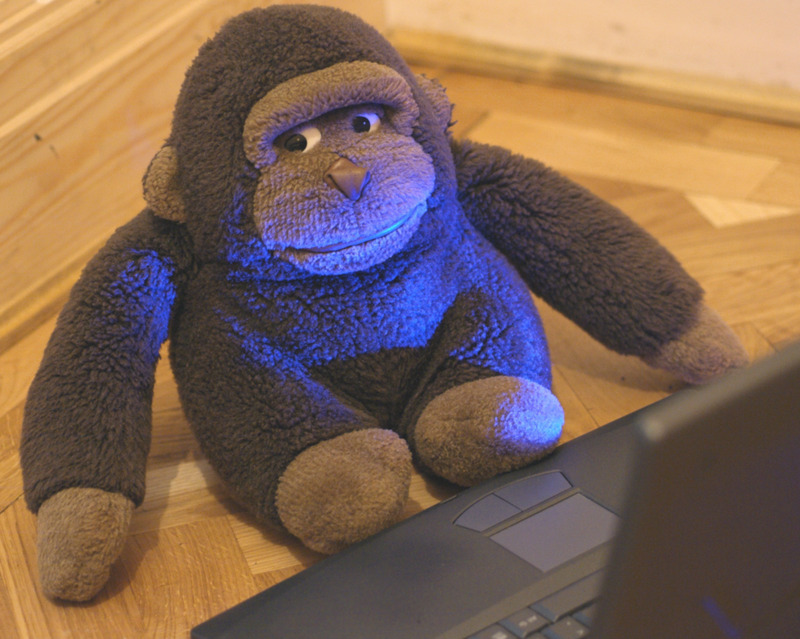 Good tips for troubleshooting access to a router. These are definitely most that one can do if they didn't tinker with the default settings. If they did and they've simply forgotten their password, they can always reset the router to its original settings. In most cases, you'll need a paper clip to press a reset button through a small hole in the back of the router. Search the web to recall the default password, if the manual is no longer available.